Get ready to dive today, it only takes 1 day. Whether you watch the short PADI Discover Scuba video, or are briefed with the Discover Scuba Diving Flip Chart, you'll enter the water quickly and ready for your scuba adventure. 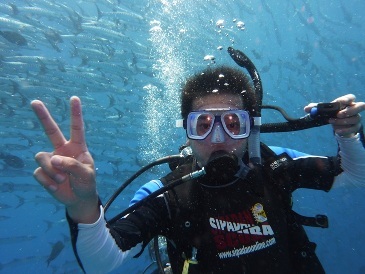 As soon as you Discover Scuba Diving, you're on your way to an internationally recognized certification. That's because you may learn skills used in the PADI Open Water Diver course during your Discover Scuba Diving adventure. If you and your instructor elect to practice these skills, they may be credited toward the PADI Scuba Diver or PADI Open Water Diver certifications.